The Principality of Monaco is an independent nation located on the French Riviera. It is less than one square mile in size, has no natural resources and is the most densely populated country in the world. But there is no need to take pity on the Monegasque. Their country has the world's highest nominal GDP per capita, the lowest poverty rate, an unemployment rate of zero and they pay no income taxes. They also have the world's longest life expectancy. If all that weren't enough, they live in a modern urban center set in an area of natural beauty. The winters are mild and the long summers are sunny but not oppressively hot. No wonder Monaco has the world's highest population of millionaires and billionaires. Although the country has now diversified into banking, tourism remains an important chief industry. Much of this is geared to the luxury end of the market. However, there is much for the average person to see and do on a visit to Monaco. Today's Principality can be traced back to 1297 when Francesco Grimaldi seized the castle on the Rock of Monaco from which the Genoese governed the area. The Grimaldi dynasty would rule Monaco, with a few interruptions, for the next 700 years. Indeed, the current Prince is a Grimaldi. Although the Grimaldis were from Italy, over the years the family and the country developed strong ties to France. In fact, France still provides military protection for Monaco and several key government posts in Monaco are held by French citizens. In the 19th century, two towns that had made up the bulk of Monaco's territory seceded from the country. This led to something of a financial crisis as the Grimaldis were in debt and now had lost their main source of income. The problem was solved by entering into a deal to build the Grand Casino. By 1869, the casino was producing so much income that the Grimaldis were able to dispense with the income tax. This attracted more rich people to Monaco, making the country even wealthier. In the early years of the 20th century, Monaco became known for auto racing. Its Formula One Grand Prix through the streets of the city is still a major sporting event. Following World War II, Monaco attracted world attention when Prince Rainier III married the popular American film star Grace Kelly. Today, Monaco is a constitutional monarchy headed by their son Prince Albert II. Unlike most other European monarchies, the Prince maintains significant political power. 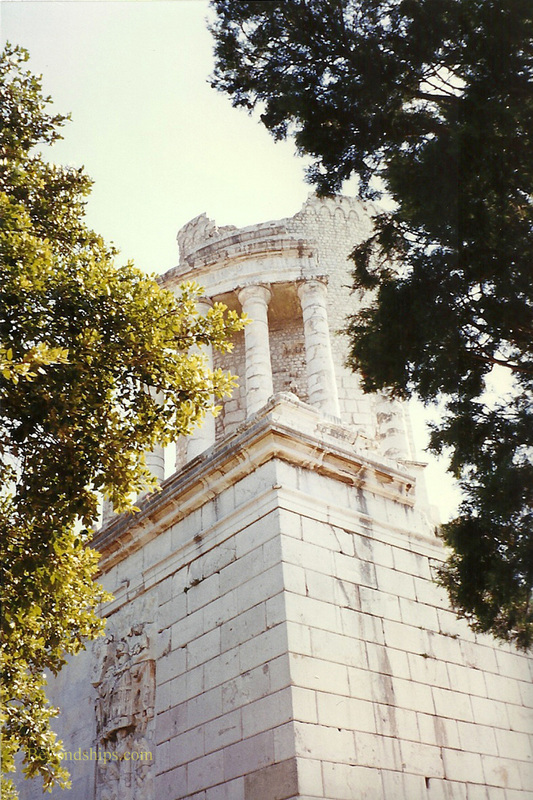 A few miles outside of Monaco is the Trophy of Augustus or Trppaeum Alpium (left). This ancient Roman monument was built to commemorate the Emperor Augustus' triumph over the ancient Alpine tribes. 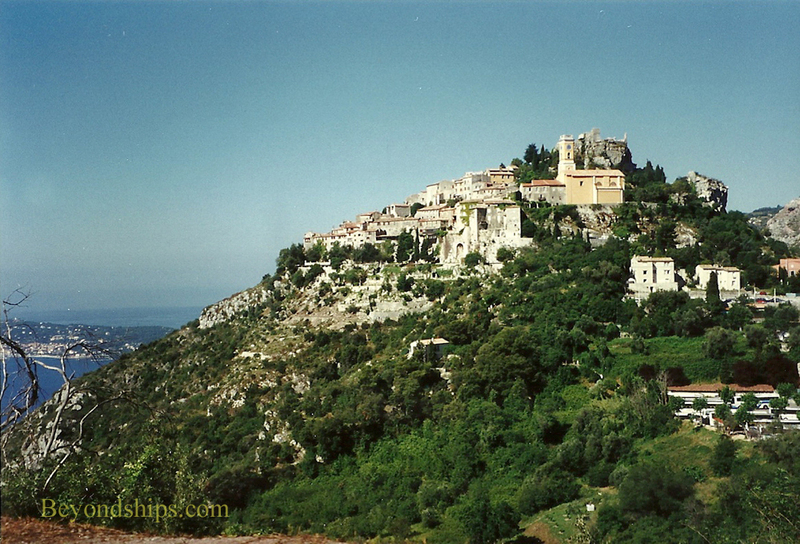 Nearby is the medieval village of Eze (below). Known for its beauty and charm, the village is primarily a tourist destination with cafes and shops.